I’m loving the braid trend right now (along with everyone else on pinterest) so here is a simple way to pull your hair out of your face with some braids! It can be done on almost any length hair (if you can pull it half up without braids, you can probably pull it half up with braids!). Refer to this post to see what’s in my hair. Refer to this post to see how to curl your hair like mine is curled. **I’m wearing a new lip color by MAC called Bare Again. **If you want to cover the bobby pins a little more, like I did, just grab a bit of hair near the pins and pin them so they cross over and hide the original pins. very cute!!! I need to be more creative with my day-to-day hair styles haha. I have always loved braids, but haven’t wore them in years because of my age. This is a nice way to sneak it into my style rotation when I let my hair go curly. I absolutely love your blog! I think I have learned more about how to do my hair in the past weekend from reading your blog than I have learned in my entire life! Thank you for being so helpful and taking the time to do so many tutorials. I wish I lived closer so you could be my new hairdresser! Happy Monday hun! You are so pretty and your outfit is so cute! I agree! I see so many braided hairstyles on Pinterest! I’m so glad you did a tutorial on one! What’s the name of the necklace you are wearing so I can buy one? I couldn’t find it on your etsy shop. I love it! My email is [email protected] 🙂 Forgot to include it in the last comment! Thanks! I envy your curls!! My hair can never keep the curls. I’m getting my haircut this week and was wondering how you would currently say your hair is cut? And also the bangs…I have bangs but they aren’t working well, I think my last cut on them was terrible! Thanks! So I tried to do this, but my hair is growing out from a graduated bob, and it wouldn’t work, so I decided to do a “bangs” twist with bobby pins and it turned out really cute! Basically just on one side. Thanks for the inspiration! 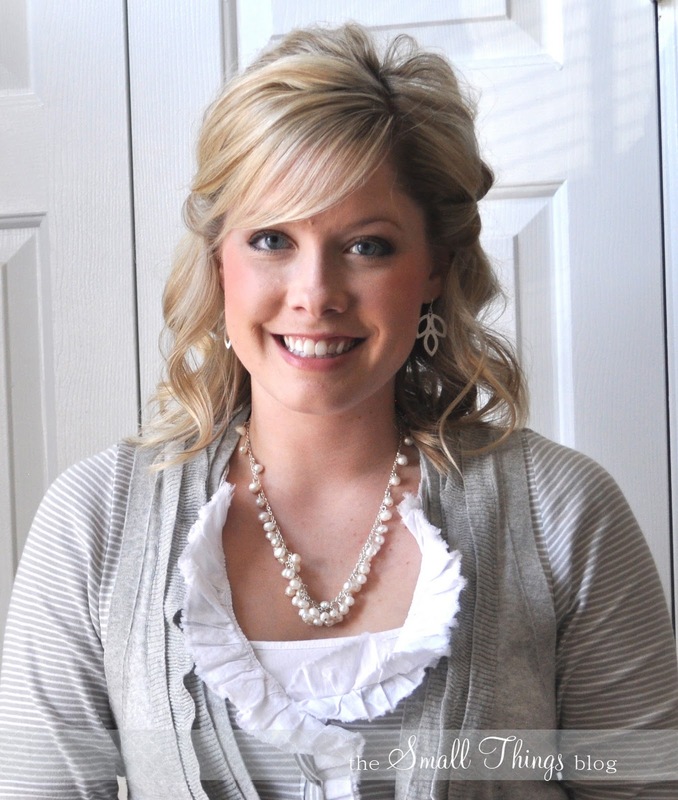 I want to buy the necklace and earings from your site. I couldn’t find them on there though! Let me know how I can purchase! my e-mail is [email protected]. I love this! I just tried your ponytail/headband tutorial this morning and my husband loved it! Thanks for all your tips! Hi Kate…LOVE the bag! Could you post an item number or something so that I can try and located one for myself? Thanks! 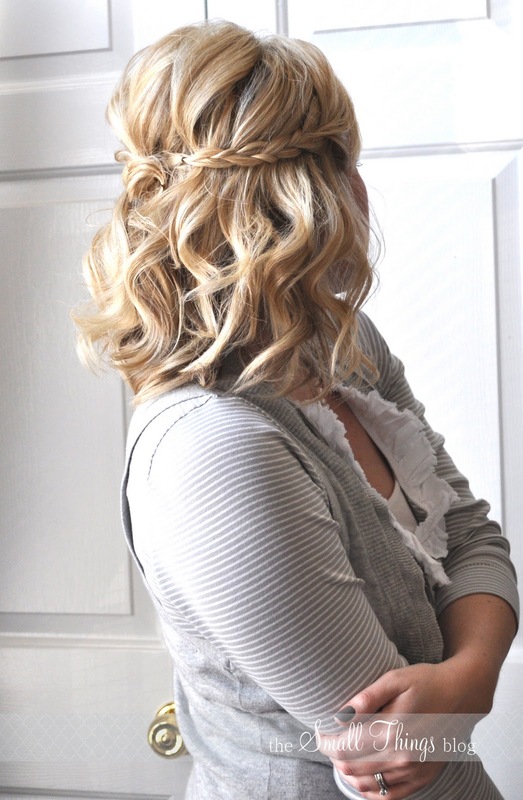 OK, this hairstyle is super cute! Thanks for posting the tutorial. I just stumbled across your blog today, and I’m already in love with everything here! Very cute!! 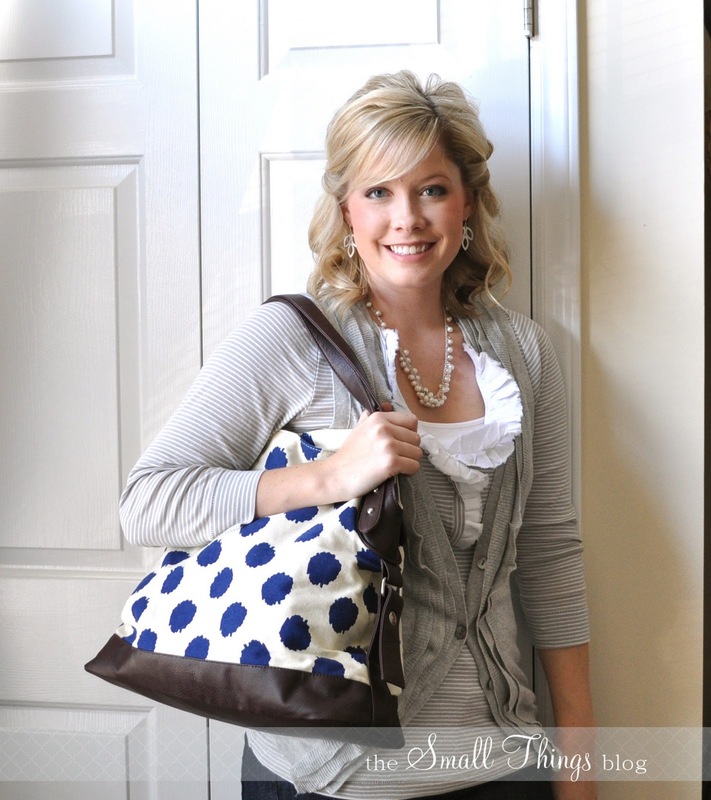 And what a steal on that bag…very pretty! Gorgeous hair- totally loving it!!!! Thanks for sharing. I really need some new hair ideas! I LOVE your blog….discovered it just a few days ago and find myself checking it all.the.time! I will definitely be trying this hairstyle this week, thanks for the idea Kate! @lala: I think that was Essie Chinchilly! I’d love to buy that necklace as well but can’t find it in the shop, can I custom order it? My sister loves your blog because it has given me the inspiration needed to pretty myself up. She says that you’ve helped me become a girl 🙂 hehe.. Thank you so much for your tutorials, I love the hairstyles and can’t wait to see what you do next! Love it! Your shirt and vest are adorable and of COURSE I love your bag 🙂 Your stylin’ girl! beautiful! your blog is super cute as well! I look forward to seeing what you post every week. Love your tutorials! Beautiful hair. I would love for you to join my weekly linky party fri-monday come strut your stuff. 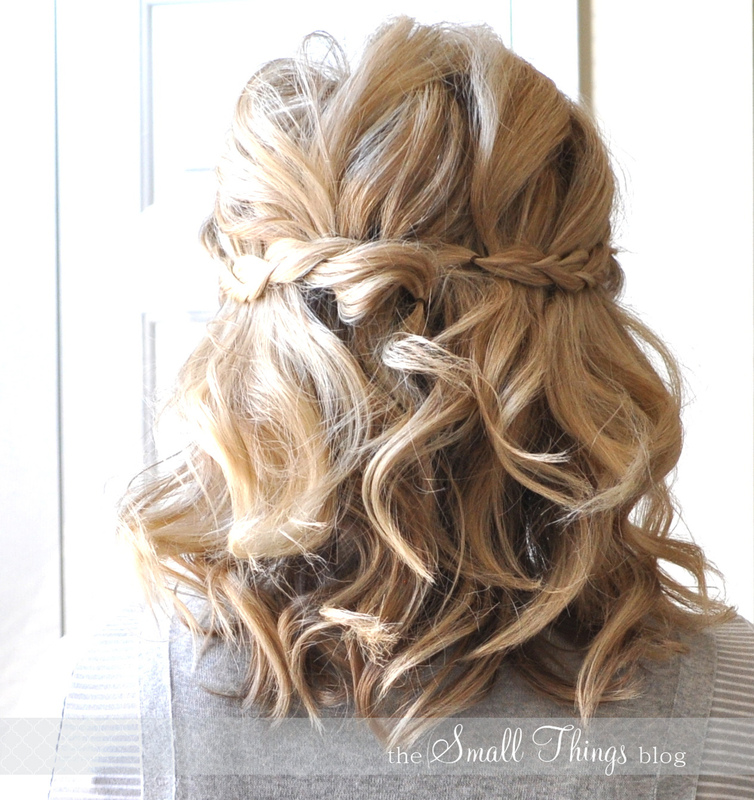 I would LOVE to learn how to do a waterfall braid across the top of the head.. I can’t figure out what to do with the hair that I end with in the front.. You are amazing. 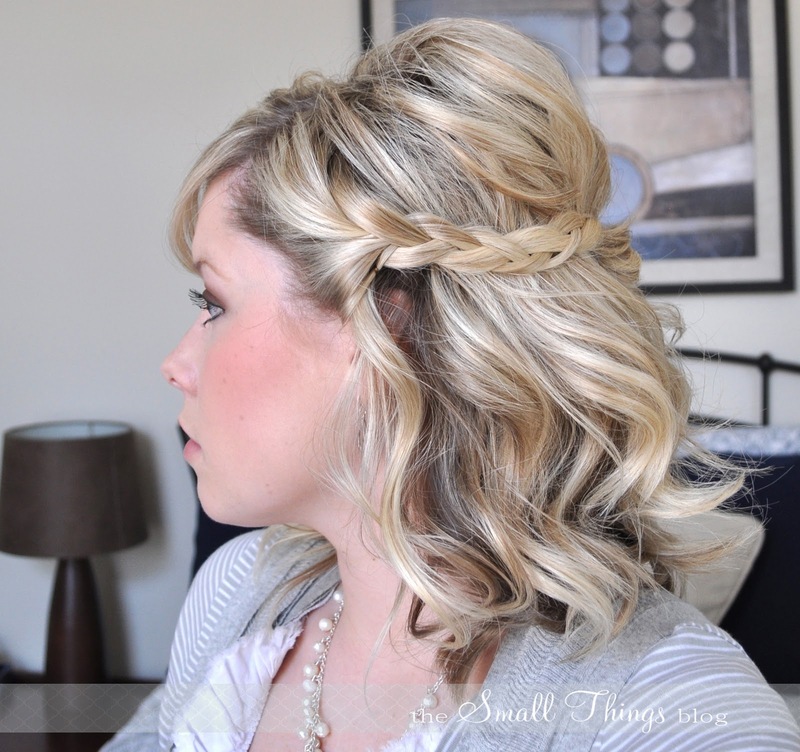 I love braids too and this is a great style! So pretty. Thanks for sharing. I tried looking for the bag at Francesca’s and I couldn’t find it! Love the bag! @Steph B: we aren’t taking any custom orders at this time, but after the holidays you can send us a message if you are interested! How do you always look so darn cute?!? I know you post videos, but my hair never seems to look like yours at the end 🙁 I buy all the stuff and do all the tips…sigh…..I’ll just watch the videos and do my best. I asked for a new blow dryer and straightner for Christmas…HA!! Maybe that will help me out. Thanks for all the inspiration!! Kate, do you have a link to where you found the bag? You are featured on New Nostalgia’s Anti-Procrastination Tuesday! Again–lol. My readers love you. Thanks for linking up! @Dawn: it doesn’t have a style #! Sorry!! I love your hair ! I have tried to style mine with the curls you have but I dont understand how to get my hair after I curl it and try to give it volume to not be so frizzy. If you have any suggestions I would love to hear them !! I love your hair and your blog. I am too afraid to cut my hair that short, but is there a way that I could get more volume or a cut like yours with longer hair my hair is a little longer than chest length?? I would also love to have side bangs but I am afraid they will bug me I think they are so so cute though. Any tips would help thank you! @Ramblings: product will definitely help with volume on longer hair, and the way the layers are cut! Try volumizing products to help with lift! This is really pretty! Especially from the back! I’m so glad I found your blog (I googled hot tools curling hair tutorials)! I love all your hairstyles!! I do most of them everyday. I just love them! I just found your blog today from pinterest! I’m so excited and can’t wait to try this tomorrow! I’ll be telling all my friends about your blog and I posted something on my fan page to check your blog out! I just found you blog on pinterest… I’m so excited with all you ideas, I’ve been having so much trouble with mu short hair lately… Thank you! I am soooooooo hair challenged this was the only tutorial I could do and have it look half decent. Do you have any suggestions? thank you for the great ideas. Many beauticians do not like to give away their secrets. Thank you for not being one. I too, would love to buy those earings and necklace. Thanks for giving us some trade secrets. my email address is [email protected] if you want to tell me where the buy those accessories. Thanks! Love love love learning all this stuff BUT what color is your polish? Love this! I will try it out tomorrow! This hairstyle is really pretty. 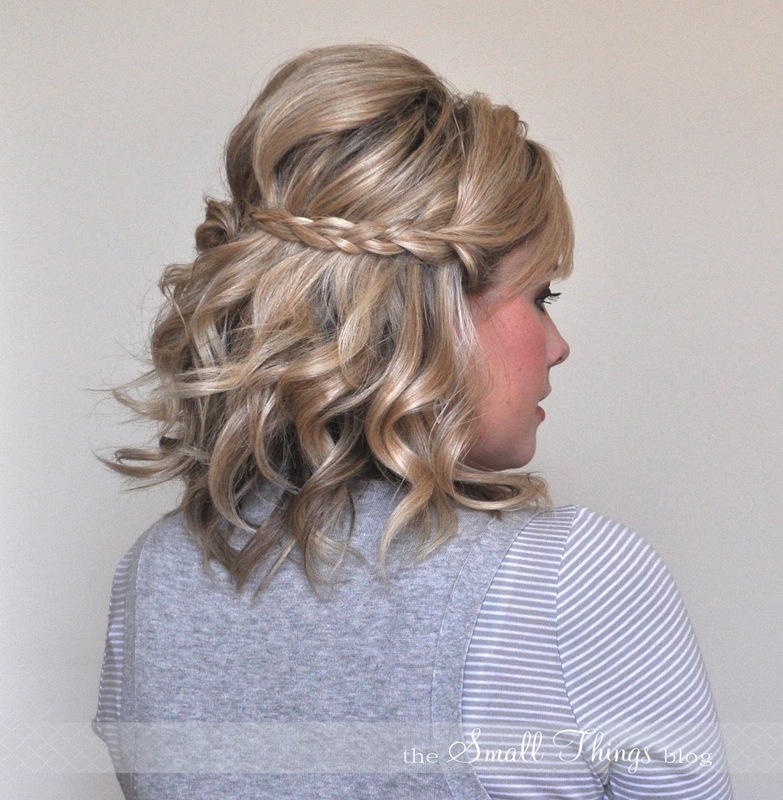 I see lots of people in school who do this kind of braid, and it looks really good. I love the waves in your hair, I have thin straight hair, how would I get my hair to be wavy like yours? Its beautiful ! Love it! Great tutorial, I’m going to try this I have long curly hair! This is so beautiful! I did this today, and it turned out great! 🙂 Thank you so much! I love your tutorials, I’m always looking for ways to style my shorter hair! What kind of products do you use…I guess what I’m trying to ask is how to get you that texture-ey/piecey look in your hair? Nice stylish Half Up Braid option. Greatly done. I would love a hairstyle like yours. If I went to my local salon, what would I tell them to do? I have hair that is a bit layered but have always wanted the body on top but it’s so thick that it pulls down. Any suggestions? Also, love your bangs but am TERRIFIED of cutting my long lengths. Thanks for info. I just found your site tonight and love it!!!! I love this cute style. I have shoulder length hair and no bangs. Do you think this would still work. Unfortunately I do not have time to curl in the morning. I am the MOH in a wedding next weekend and am going to recreate this hairstyle. Thank you for the inspiration! How long is your hair here before you curled it? I love love your hairstyles but I have always had extremely long hair and I need a change. My hair is very thick and heavy. I want it short but not so short I can not put into a ponytail ( I work outside ). I love your videos! I recently went to a wedding and did my hair like this by myself and felt so happy and confident. I have always spent a ton of money going to the salon before a wedding or military ball, and this was the best I have ever felt or looked, so I’m really appreciative of your step by step tutorials and the clear links for more info! Yay!! I tried this but when it’s time to pull the braids back it left side horns where the braid starts and didn’t lay flat against my head. I braided it like you too, top over middle. Ugh 🙁 Any suggestions?